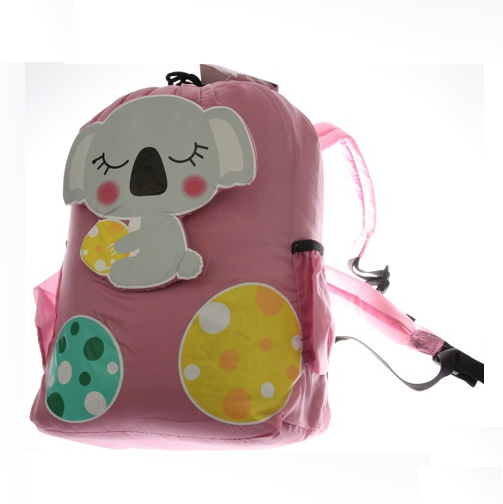 Young Childs Koala sleeping bag with a matching back pack. It is rated to +14° C and is suitable for late spring and summer outdoor camping. Otherwise it can be used as a year round overnight indoor bag. 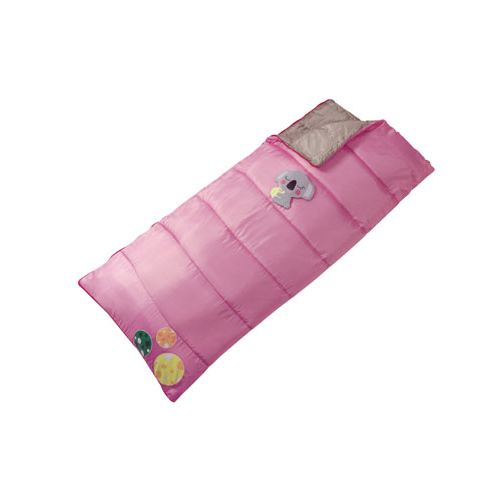 The zipper zips all the way around, allowing you to use this sleeping bag as an open double doona. Designed in Germany, made in China, LA Trekking Sleeping Bags provide quality at affordable prices.